Congratulations to all the participants! Please find the results on our Clay Target Leaderboard! The League has partnered with area hotels to offer low-cost lodging options for the State Tournament. These 2018 Official/Partner Hotels are offering donations to the League for every room reserved. In addition, they are passing a cost savings on to you for booking with them. 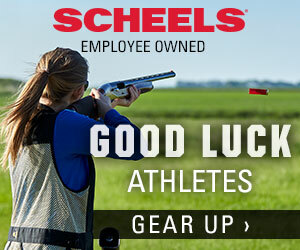 Call 412-653-6600 and mention the High School Clay Target League for special rates! In order of importance, the three priorities of the Pennsylvania State High School Clay Target League are safety, fun and marksmanship. All participants and spectators are required to adhere to all State Tournament rules and requirements included in the PASHSCTL’s Policies & Procedures guidebook. Any participant or attendee who does not adhere to these rules will be disqualified and/or asked to leave the State Tournament. The State Tournament committee reserves the right to make alterations in, or amendments to these rules at any time without notice. All current Pennsylvania State High School Clay Target League student athletes are invited to participate. Coaches will login to their Team Management System and select “State Tournament Registration” to select the participating athletes and designate their classification. No members can be added or changed after a team has submit their roster. Please make sure all the information is correct prior to submission. 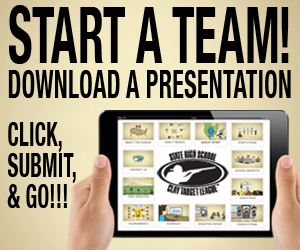 You should print a copy of your State Tournament roster after your submission. 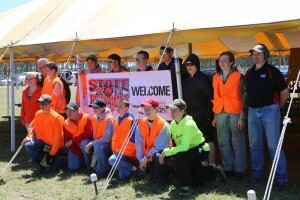 The Pennsylvania State High School Clay Target League has partnered with area hotels to offer low-cost lodging options for the 2018 State Tournament. Click here for a list of participating hotels and to book your hotel now! Student athletes will shoot an early session (Session 1), and again after the first session has completed (Session 2). Athletes will shoot two consecutive rounds of 25 targets in each session. During each session, student athletes should place the second box of shells on the 24-yard line, for easy accessibility after the first round has been completed. Squads cannot take a break between rounds during each session except to retrieve the second box of ammunition. Squads for Session 2 must be comprised of the same athletes and squad shooting order as Session 1. 2. If a team has a short squad (less than 5), coordinate with an adjoining field/team to add student athletes to complete a squad. 3. Novice, Junior Varsity, and Varsity shooters may be squadded together. 4. Members from a different team CAN be included on the same score sheet. 5. If a student athlete does not report to the assigned trap by the scheduled time, the student athlete must be moved to the final squad out. Food and non-alchoholic beverages can be brought to the event or purchased on event grounds and consumed in spectator or camping areas. Grills are only allowed to be used in designated parking or camping areas so the smoke is not disruptive to spectators and participants. Working credentials are not transferrable, and may be revoked at any time at the sole discretion of the USAHSCTL, and will automatically terminate if any term hereof is breached. Organizations should contact the League at info@usaclaytarget.com to arrange credentials for League events.